An evening with eight-times Isle of Man TT winner Charlie Williams is to be hosted by Warrington Advanced Motorists at the Grappenhall Ex-Servicemen’s Club, Chester Road, Grappenhall, Warrington WA4 2QG on Thursday, April 20, from 7pm until 10.30pm. For tickets, costing £5, contact the club on 01925 261702, Geoff Kelly on 07484 708043, Andrew Bloomer on 07768 051570 or visit www.grappenhallexservice mens.co.uk . 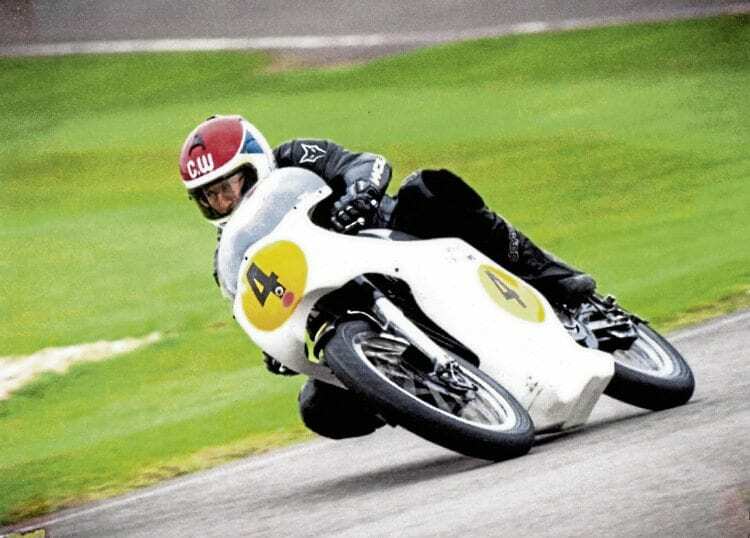 Right: TT legend Charlie Williams will be at Grappenhall, Cheshire, on Thursday April 20 to tell the audience all about his motorcycle racing career.